Abstract: While policymakers often justify school choice as a means to alleviate opportunity and achievement gaps, an unanticipated effect is increased competition over access to coveted, high-performing schools. In A Contest without Winners, Kate Phillippo follows a diverse group of Chicago students through the processes of researching, applying to, and enrolling in public high school. Throughout this journey, students prove themselves powerful policy actors who carry out and redefine competitive choice. 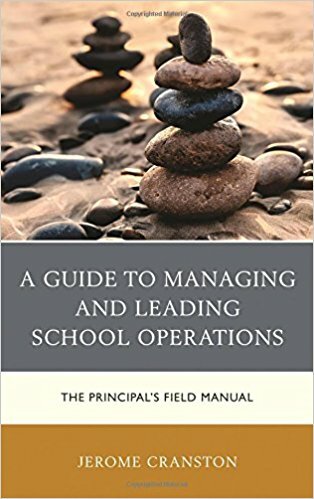 Abstract: This book fills a gap in the training of educational leaders by orienting them to the vitally important business operations required to run a school including personnel, finances, and risk. 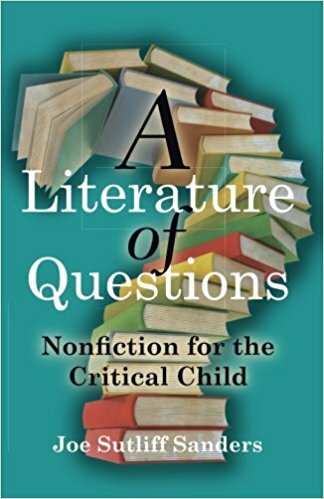 Abstract: The first book to theorize children’s nonfiction from a literary perspective, A Literature of Questions explains how the genre speaks in unique ways to its young readers, inviting them to the project of understanding. It lays out a series of techniques for analysis, then applies and nuances through extensive close readings and case studies of books from the past half century. Abstract: How do you organize what may seem like a chaotic mess into a classroom that empowers students to engage with content and pursue their passions? 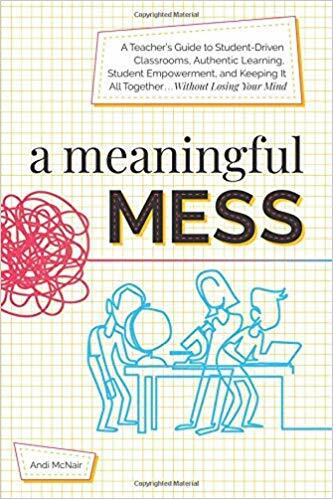 A Meaningful Mess offers suggestions and specific tools that can be used to engage this generation of students in meaningful, relevant, and student-driven learning experiences―even if things in the classroom may get messy, both literally and figuratively. Such strategies and tools include Genius Hour, Makerspaces, flexible learning spaces, meaningful technology, global learning experiences, critical and creative thinking, collaboration, and reflection. Abstract: Spanning Indigenous settings in Africa, the Americas, Aotearoa/New Zealand, Australia, Central Asia and the Nordic countries, this book examines the multifaceted language reclamation work underway by Indigenous peoples throughout the world. Exploring political, historical, ideological, and pedagogical issues, the book foregrounds the decolonizing aims of contemporary Indigenous language movements inside and outside of schools. 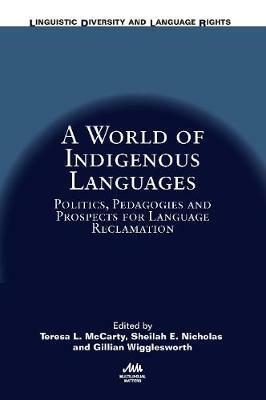 Many authors explore language reclamation in their own communities. Together, the authors call for expanded discourses on language planning and policy that embrace Indigenous ways of knowing and forefront grassroots language reclamation efforts as a force for Indigenous sovereignty, social justice, and self-determination. This volume will be of interest to scholars, educators and students in applied linguistics, Ethnic/Indigenous Studies, education, second language acquisition, and comparative-international education, and to a broader audience of language educators, revitalizers and policymakers. 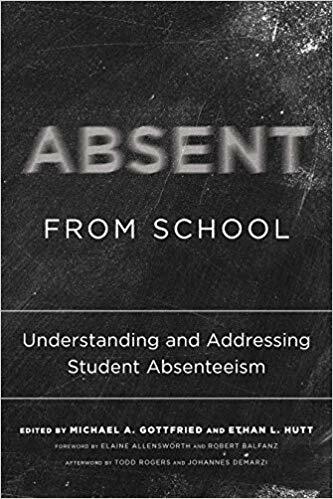 Abstract: The editors present a series of studies by leading researchers from a variety of disciplines that address which students are missing school and why, what roles schools themselves play in contributing to or offsetting patterns of absenteeism, and ways to assess student attendance for purposes of school accountability. The contributors examine school-based initiatives that focus on a range of issues, including transportation, student health, discipline policies, and protections for immigrant students, as well as interventions intended to improve student attendance. Abstract: This book, the second in the series, is a distinct exploration of how educational policy makers, curriculum developers, educators, learners and social activists can utilize the hitherto untapped rich resource of African traditional oral literature and visual cultures. These are epistemological reservoirs and invaluable pedagogical tools in the delivery of content in the classrooms of the present global village, most of whom contain diverse student populations from varying backgrounds. 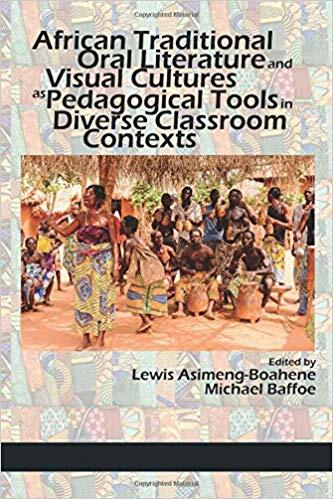 The content of the book is thus designed to help expand educators’ repertoire of understanding beyond the hitherto “conventional wisdom”, most of which are either outdated or are colonial impositions on former colonial entities. For many years, government policy has associated young people 'being NEET' (Not in Education, Employment or Training) with educational underachievement, worklessness, generational poverty, poor health, antisocial behaviour, and reduced life expectancies. Researchers and policymakers continue to debate whether young people become NEET as a result of their own choices (i.e. their personal agency), or as a result of external factors (i.e. social, political and economic structures). Most recognise that the truth is somewhere between the two, but a clear understanding of how each interacts in causing young people to become NEET has so far been elusive, making the development of effective policy and practice problematic. Agency, Structure and the NEET Policy Problem makes headway against this problem through an original approach that draws on social cognitive theory and the lived experiences of young people themselves. Abstract: Ambitious Science Teaching outlines a powerful framework for science teaching to ensure that instruction is rigorous and equitable for students from all backgrounds. The practices presented in the book are being used in schools and districts that seek to improve science teaching at scale, and a wide range of science subjects and grade levels are represented. 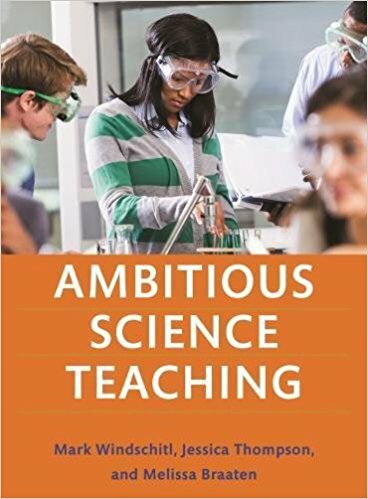 Drawing on the emerging research on core teaching practices and their extensive work with preservice and in-service teachers, Ambitious Science Teaching presents a coherent and aligned set of resources for educators striving to meet the considerable challenges that have been set for them. An Alternate Pragmatism for Going Public interrogates composition’s most prominent responses to contemporary K–16 education reform. 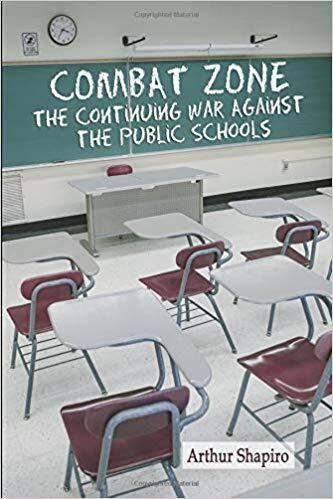 By “going public,” teachers, scholars, and administrators rightfully reassert their expertise against corporate-political standards and assessments like the Common Core, Complete College America, and the Collegiate Learning Assessment. 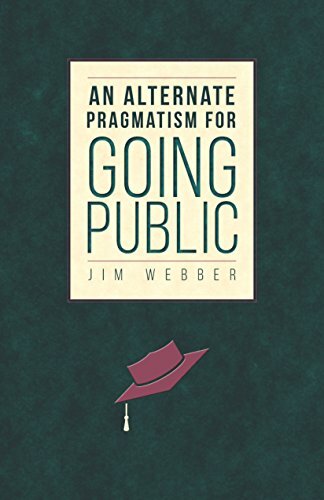 However, author Jim Webber shows that composition’s professional imperative for self-defense only partly fulfils the broader aims of “going public,” which include fostering public participation that can assess and potentially affirm the public good of professional judgment. Drawing on the pragmatic/democratic tradition, Webber envisions an alternate rhetoric of professionalism, one that not only reasserts compositionists’ expertise but also expands opportunities for publics to authorize this expertise. While this public inquiry and engagement may not safeguard professional standing against neoliberal reform, it reorients composition toward an equally important goal, enabling publics to gauge the adequacy of the educational standardization so often advocated by contemporary reform. Abstract: An essential guide to using social and emotional assessment in support of teaching and learning. Assessing children’s social and emotional learning skills is a critical and underappreciated element of all SEL programming. 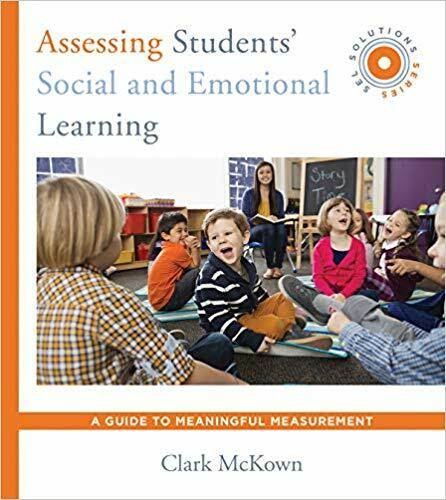 This book provides educators with practical information that they can use to clarify their assessment goals, identify viable assessment options that meet their needs, and understand and use assessment data to inform their practice and improve student outcomes. 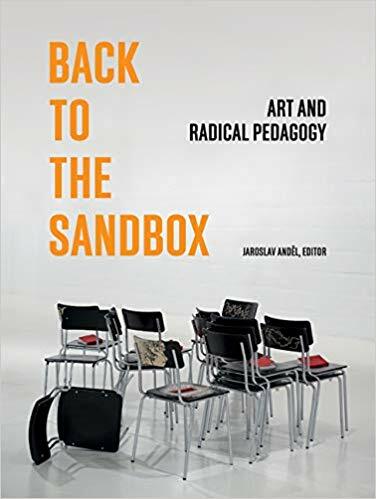 Abstract: Back to the Sandbox addresses critical issues of the education system from an intriguing new perspective: essays by leading thinkers juxtaposed with art projects, intended for kindergarten through adult. The core issues include democracy in education, creativity, transdisciplinarity, neuroplasticity, thinking versus memorizing, science versus art and humanities. Both artists and scholars explore specific topics while guided by one framing question central to educators’ and students’ concerns today: What education do we need? The volume includes several lead essays and eighteen shorter texts from international scholars. 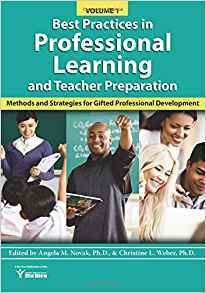 Abstract: Drawing on both literature in the field and research-based best practices in professional learning, this series provides the reader with a foundation for designing and implementing effective professional development experiences for educators working with gifted learners. This volume focuses on a variety of techniques and methods in professional development. From reflection practices, to using case studies, to incorporating technology, authors provide specific tools and resources to consider when delivering effective professional development related to this specific population of learners. Celebrity, Aspiration and Contemporary Youth uses the lens of celebrity to explore how young people think about their futures under austerity. Based on an interdisciplinary study, the book offers fresh insights into contemporary youth aspirations and inequalities. It helps us to understand young people's transitions into adulthood at a time of socio-economic 'crisis'. Using young people's 'celebrity talk' to explore their aspirations, the authors challenge stereotypes of young people as a fame-hungry, get-rich-quick generation. Instead, they show how young people engage critically with celebrity and its discourses. Key chapters focus on how young people talk about youth, work, authenticity, success, happiness, money and fame in relation to their own lives and those of celebrities. Each of these chapters contains a case study of an international celebrity, including, Beyoncé, Will Smith, Bill Gates, Prince Harry and Kim Kardashian. The authors conclude with possibilities for social change. They show that celebrity offers an important way of working with young people to critically explore what futures are possible and for whom. Collaborative School Leadership investigates how and why more collaboration is taking place in a wide range of settings in the UK, South Africa, New Zealand, China, the USA, the Seychelles, Tanzania and Greece, and considers the implications for leadership and the overall effectiveness of schools. 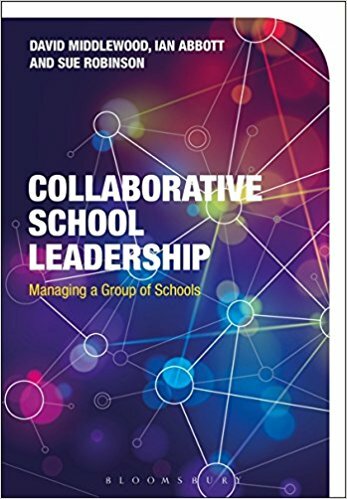 David Middlewood, Ian Abbott and Sue Robinson explore various models of collaboration, considering their strengths, weaknesses and how they affect school leadership, including: executive leadership, school-to-school collaboration, federations, alliances, and academy chains. Using case studies, points of reflection, and further reading and summaries, this volume emphasizes how skills and approaches used by leaders of single schools are not automatically transferable to the leadership of several schools and proposes possible ways forward for leadership and consider potential implications for education systems as a whole. Abstract: Although in plain sight daily, a highly successful war against the public schools has been hidden in the shadows of public consciousness. Only very recently have several people written articles about this war, with the only book calling it a war being written in 2002. Neither the public nor educators have become aware of the far-reaching extent and effectiveness of this war. This book treats this war as part of an extensive social movement that is conducting wars also against government and science, as well as against women, immigrants, the poor (but not against poverty), and, certainly, against unions. However, the book focuses on the war against the public schools. 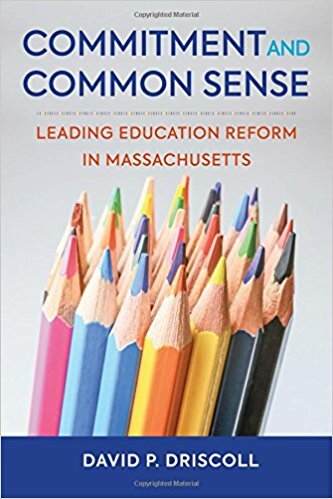 Abstract: Commitment and Common Sense tells the inside story of how Massachusetts became a national model for education. Twelve years after the passage of the state’s comprehensive education reform law in 1993, Bay State student scores rose to the top of “the nation’s report card” (the National Assessment of Educational Progress) in fourth- and eighth-grade reading and math—and have stayed there ever since. 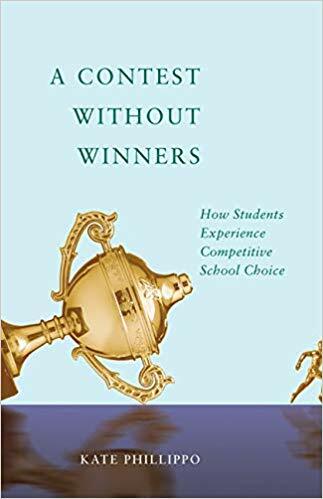 This book is full of lively anecdotes and wisdom born from experience in the trenches of education politics at local, state, and national levels. Driscoll offers unique insights for current and future education leaders interested in learning more about the keys to Massachusetts’s success and understanding of the power of state policy to effect change. 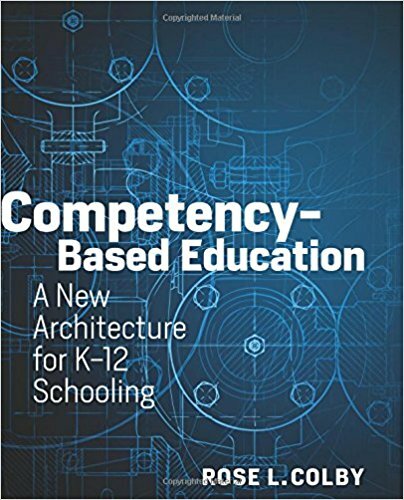 Competency-Based Education introduces educators to a new model for anytime, anywhere schooling and provides tools and curriculum resources for redesigning the traditional structures of K–12 schools. Based on pioneering work across multiple states, the book shows how educators can design central elements of competency-based education—including performance tasks, personal learning plans, and grading systems—to meet the needs and interests of all students. The book incorporates case studies and voices from the field, and examines the variety of competency models that schools have adopted, highlighting the benefits for students. Abstract: In this book, we introduced many conflict resolution methods from different regions in the world. You can borrow some successful strategies and examine the differences and similarities between contexts. 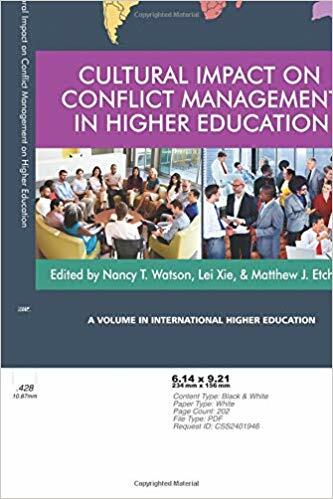 The book shares a conflict resolution model which may direct the reader to start thinking about addressing and managing conflicts from different levels of organizations. This book is a collective work of authors coming from all over the world. We chose higher education as the context because it is a place where diverse thoughts, perspectives, and people come together. Abstract: Deep Learning in Introductory Physics: Exploratory Studies of Model-Based Reasoning is concerned with the broad question of how students learn physics in a model?centered classroom. The diverse, creative, and sometimes unexpected ways students construct models, and deal with intellectual conflict, provide valuable insights into student learning and cast a new vision for physics teaching. This book is the first publication in several years to thoroughly address the "coherence versus fragmentation" debate in science education, and the first to advance and explore the hypothesis that deep science learning is regressive and revolutionary. 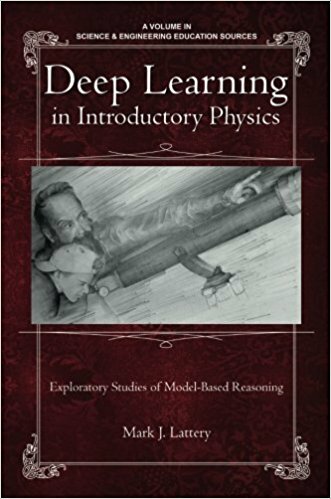 Deep Learning in Introductory Physics also contributes to a growing literature on the use of history and philosophy of science to confront difficult theoretical and practical issues in science teaching, and addresses current international concern over the state of science education and appropriate standards for science teaching and learning.The book is divided into three parts. Part I introduces the framework, agenda, and educational context of the book. An initial study of student modeling raises a number of questions about the nature and goals of physics education. Part II presents the results of four exploratory case studies. These studies reproduce the results of Part I with a more diverse sample of students; under new conditions (a public debate, peer discussions, and group interviews); and with new research prompts (model?building software, bridging tasks, and elicitation strategies). Part III significantly advances the emergent themes of Parts I and II through historical analysis and a review of physics education research. Abstract: Teaching in a democracy is challenging and filled with dilemmas that have no easy answers. For example, how do educators meet their responsibilities of teaching civic norms and dispositions while remaining nonpartisan? 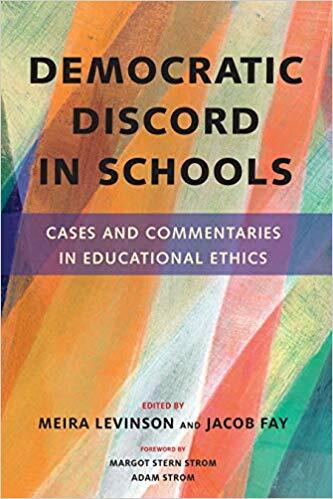 Democratic Discord in Schools features eight normative cases of complex dilemmas drawn from real events designed to help educators practice the type of collaborative problem solving and civil discourse needed to meet these challenges of democratic education. Each of the cases also features a set of six commentaries written by a diverse array of scholars, educators, policy makers, students, and activists with a range of political views to spark reflection and conversation. 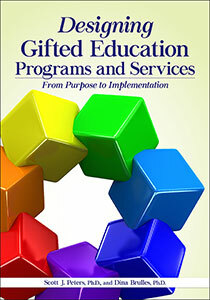 Abstract: This book is intended to support educators in the design and implementation of comprehensive gifted education plans. From planning to actual implementation, this book takes the reader from goals and purpose to assessing student needs and program design. The authors begin with a broad overview of best practices in programming and services, highlighting connections to student needs, programming standards, and state laws. Their recommendations include philosophical, cultural, and practical considerations and data-based decision making. In this book, Peters and Brulles guide the reader through the process of determining the most optimal programming methods for schools to take based on their individual needs and circumstances. With this book, schools will be able to design and develop programs and/or services that lay the foundation necessary to ensure all students are appropriately challenged. Digital personalization is an emerging interdisciplinary research field, with application to a variety of areas including design, education and publication industry. This book focuses on children's education and literacy resources, which have undergone important changes with the 'personalization revolution' in the early 21st century. The author develops original insights from educational research and her own studies concerned with digital and non-digital personalization, to discuss in a clear and critical way the thinking, research issues and practical implications of this new field. She scrutinises the character of technology-based personalized education to substantiate the claim that the current models of personalized education tend to be technology- and business-driven, with little pedagogical understanding of the social value of personalization. Research involving touchscreens, personalized books and 2-8-year olds is interrogated for its impact on children's development of language, creativity, identity, as well as family dynamics and classroom dialogue. The literature available on digital and non-digital personalization is discussed in relation to five key themes of personalized education, the so-called 5As: autonomy, authorship, aesthetics, attachment and authenticity. It is argued that the 5As need to be anchored in humanist principles for a sustainable pedagogy and practice. 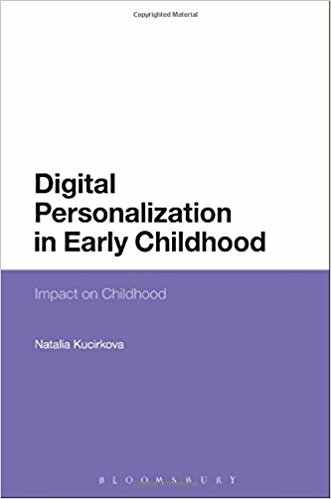 Based on the insights from research with typically and atypically developing children, Kucirkova proposes personalised pluralisation, as a pedagogical framework of personalized education for the future. The book aims to help scholars and professionals understand the connections between personalization and literacy, personalization and education, and personalization and wider socio-moral issues. Through art children make sense of their experiences and the world around them. Drawing, painting, collage and modelling are open-ended and playful processes through which children engage in physical exploration, aesthetic decision-making, identity construction and social understanding. As digital technologies become increasingly prevalent in the lives of young children, there is a pressing need to understand how digital technologies shape important experiences in early childhood, including early childhood art. 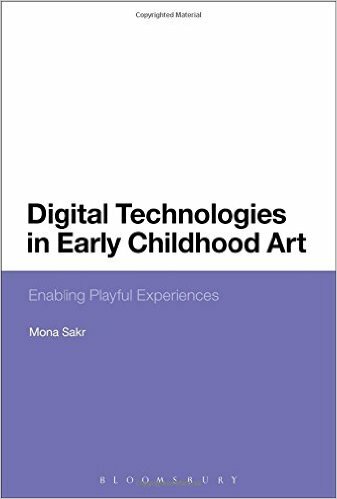 Mona Sakr shows the need to consider how particular dimensions of the art-making process are changed by the use of digital technologies and what can be done by parents, practitioners and designers to enable children to adopt playful and creative practices in their interactions with digital technologies. Incorporating different theoretical perspectives, including social semiotics and posthumanism, and drawing on various research studies, this book highlights how children engage with different facets of art-making with digital technologies including: remix and mash-up; distributed ownership; imagined audiences and changed sensory and social interactions. 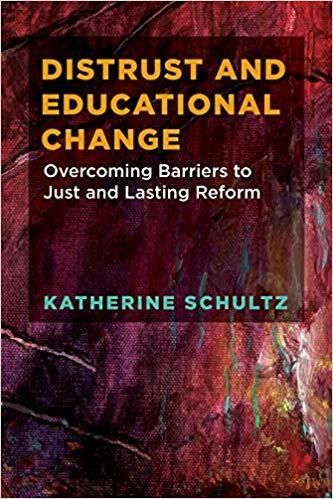 Abstract: Through a set of illustrative stories, Schultz analyzes the role of distrust in the failure of educational change and transformation. By creating a taxonomy that includes three kinds of distrust—relational, structural, and contextual—she suggests ways to analyze, understand, and discuss the impact of distrust on schools, districts, and large-scale educational processes. She concludes by offering concrete recommendations for addressing distrust in classrooms, schools, and districts; discusses the roles played by teachers, principals, parents, and students in building trust; and points to schools and programs where distrust has been acknowledged and repaired successfully. By creating spaces that honor human dignity, Schultz argues, it is possible to replace a culture of systemic distrust built over time. Abstract: SUNY Buffalo State is a unique urban comprehensive liberal arts public institution serving a large number of first generation college students. One flagship program at the college is the Professional Development Schools (PDS) consortium. Beginning in 1991 with one partner school, the SUNY Buffalo State PDS consortium now partners with approximately 45 schools locally, in Western New York, New York City, and across five continents. This book seeks to share the skills, knowledge, and examples of evidence-based practice of this innovative program to offer readers ideas for how teacher education and professional development might be re-conceptualized and re-energized. Abstract: Education in the Arab World is a critical reference guide to development of education in Algeria, Bahrain, Egypt, Iraq, Jordan, Kuwait, Lebanon, Libya, Morocco, Oman, Palestine, Qatar, Saudi Arabia, Sudan, Syria, Tunisia, the United Arab Emirates and Yemen. The chapters, written by local experts, provide an overview of the education system in each country, as well as discussion of educational reforms and socio-economic and political issues. 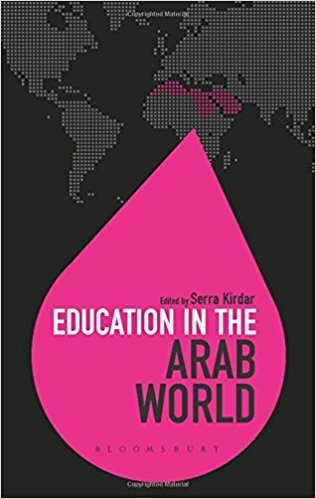 Including a comparative introduction to the issues facing education in the region as a whole, this book is an essential reference for researchers, scholars, international agencies and policy-makers. 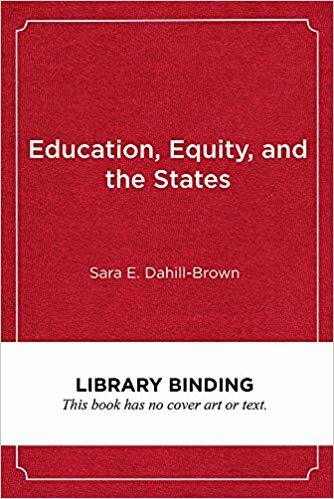 Abstract: Drawing on original research, Sara E. Dahill-Brown highlights three major factors that differ from state to state: the number of districts (fragmentation); the degree to which education governance is separated from other political issues (exceptionalism); and how much state legislation tends to impinge on local autonomy (local control). She examines the historical and political trends that have shaped differences among the states and how they affect the impact of education reforms. By identifying typical patterns in state governance, Dahill-Brown suggests ways to work with varying governance structures to lead to more successful and equitable outcomes. Abstract: Baker explores school finance, the school and classroom resources derived from school funding, and how and why those resources matter. 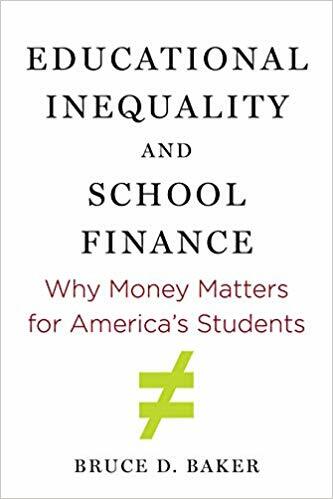 He provides a critical examination of popular assumptions that undergird the policy discourse around school funding—notably, that money doesn’t matter and that we are spending more and getting less—and shows how these misunderstandings contribute to our reluctance to increase investment in education at a time when the demands on our educational system are rising. 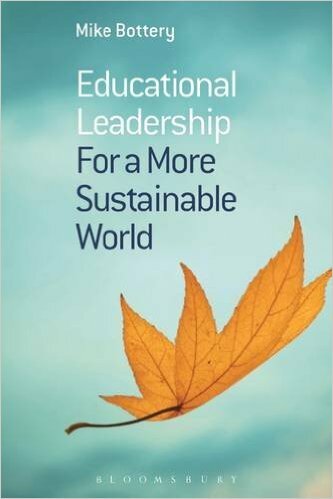 Educational Leadership for a More Sustainable World argues that current crises in educational policies and practice, including the recruitment and retention of educational leaders, ultimately derive from the interactions between four key challenges which also underpin current global and societal issues of sustainability: A culture of consumption; Global energy demands; Climate change; and Emerging population patterns. Mike Bottery argues that problems in dealing with these four global challenges, as well as many crises in education, are in large part due to a failure to appreciate their complex interactions and effects, and of the need for sufficiently complex responses. The result is that many policies in many areas hinder rather than facilitate appropriate solutions.